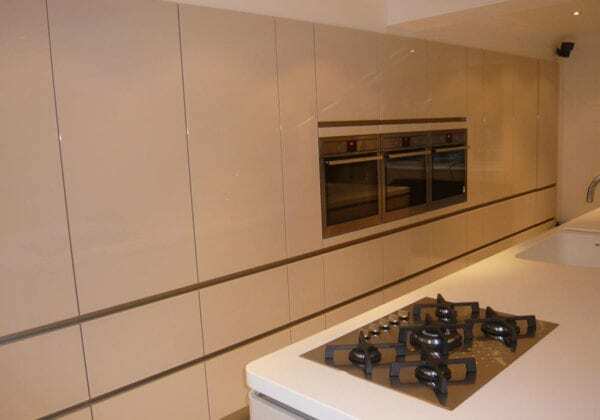 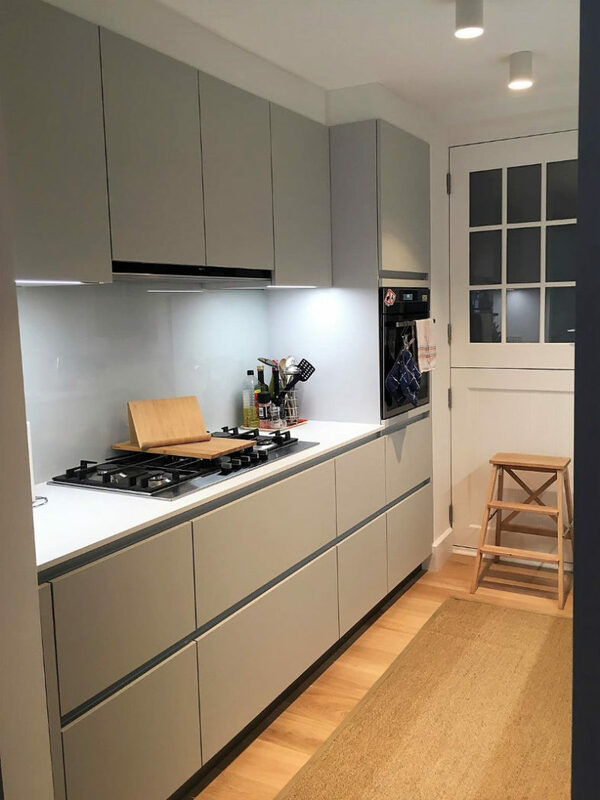 This large sized kitchen in Champagne high gloss lacquer features a 3.8 metre island and incorporates 3 single ovens, a recessed ceiling extractor and 2 dishwashers. 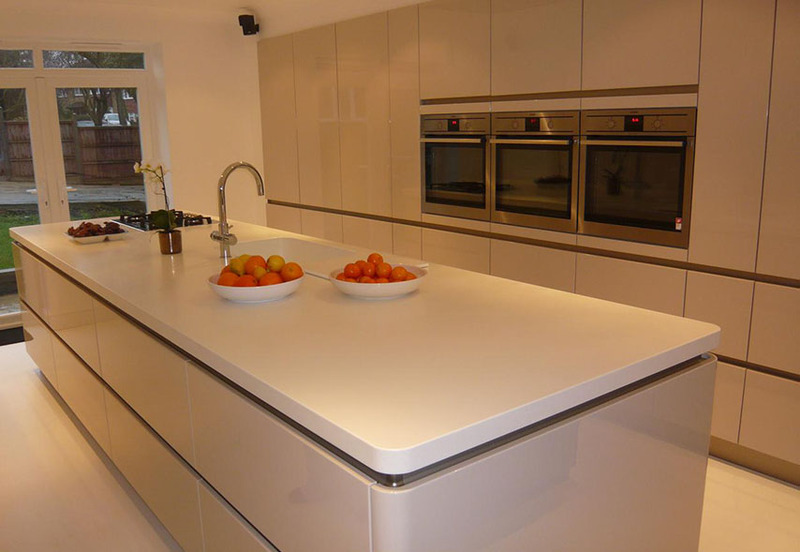 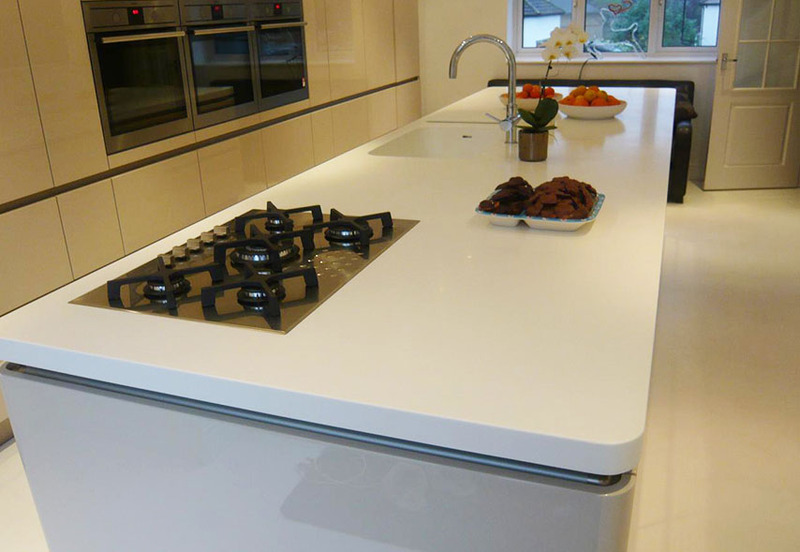 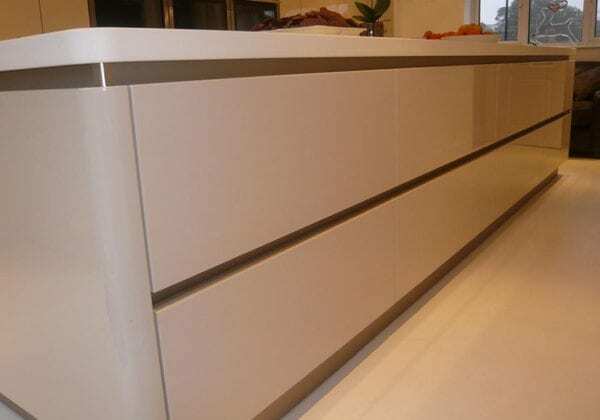 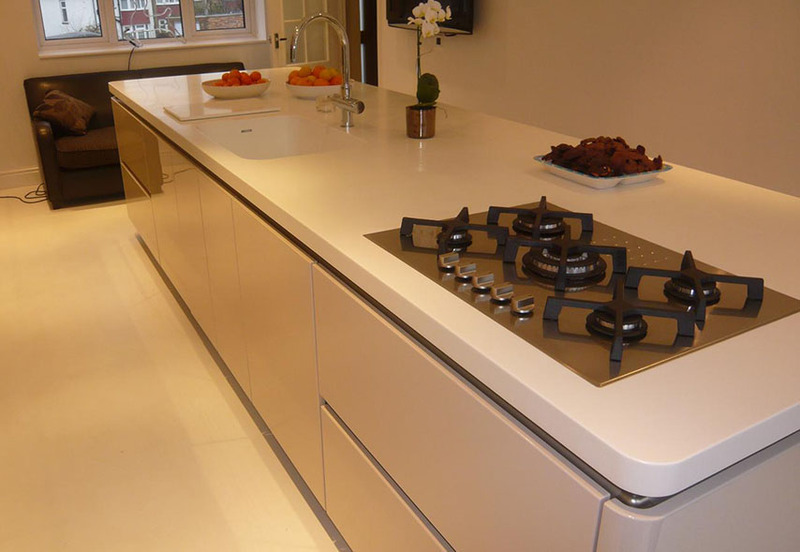 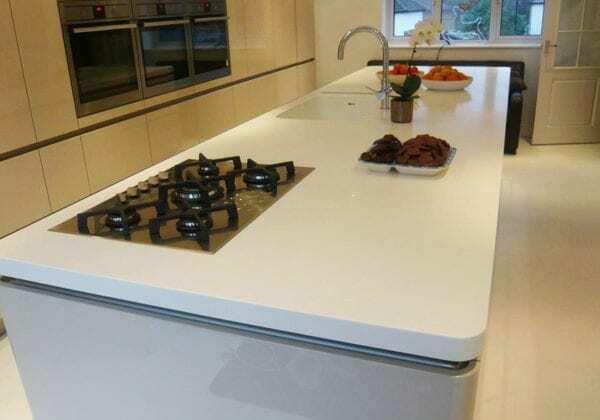 Mary sourced her own 50mm thick Corian worktops. 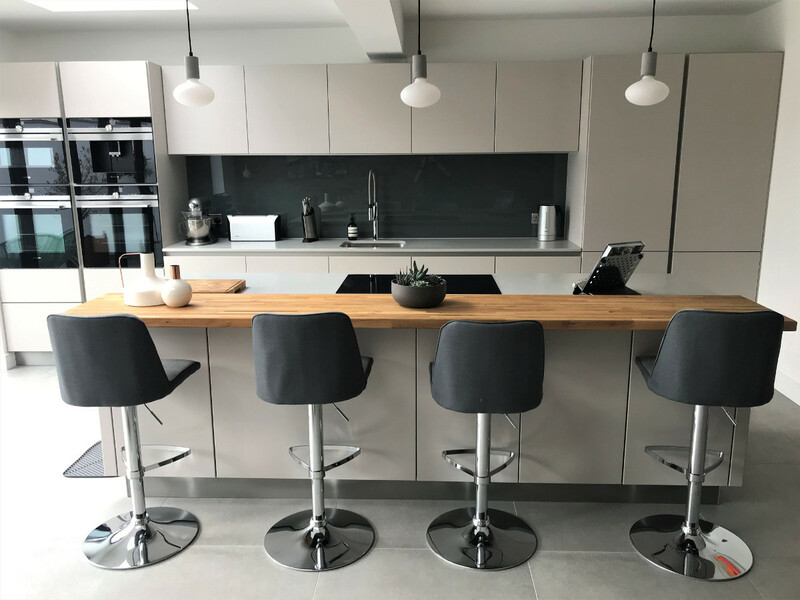 The tap has an all in one facility to produce standard hot & cold water as well as 100 degree boiling water plus cold filtered water.